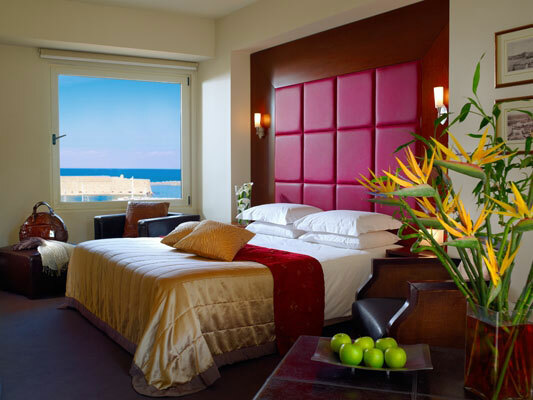 Lato Boutique Hotels Executive Suites have been designed to offer luxury and comfort, along with the best view in town. Standing exactly across the old Venetian city port they offer the most spectacular view to the Venetian Castle and the Cretan sea. The executive suites of Lato Boutique Hotel feature elegant architectural style and decoration, offering luxury, relaxation and functional comforts of unique quality. Spacious bedrooms with king size beds, large and luxurious furnished patio areas, state-of-the-art bathrooms with en-suite Jacuzzi, CD player and a great balcony or veranda.